This is fourth part of a five-part essay on the coming alliance of libertarian and progressive Millennials in American politics. Click here for Part I, Part II, and Part III. In order to explain the emergence of the new political arc, we must identify the factors that led to the collapse of the former consensus. Over the past two decades, two trends have exposed the shortcomings of the assumptions and ideologies of the previous arc. First, institutions – in both the public and private sector – proved unable to respond to pressing crises or made crises worse. Second, the emergence of technocapitalism – fueled by globalization, new information technologies and the growth of high finance – has upended the former economic order in ways we are only beginning to comprehend. For many Millennials, September 11 and the subsequent War on Terror were formative political experiences. The attacks exposed a young generation to our vulnerability to world events and the latent anti-Americanism previously obscured by the relative peace and prosperity of the 1990s. The response of the Bush Administration – two foreign wars that quickly turned into unpopular occupations and violent insurgencies; the use of torture and extralegal methods in fighting terrorism; the curtailing of civil liberties and sharp increase in resources devoted to security and surveillance – continues to have political ramifications for Millennials today. Less than half (49 percent) of Millennials would call themselves “patriotic,” indicative of the lingering impacts of Bush’s overreach; young adults join their older counterparts in an increasing weariness of war and skepticism about America’s ability to shape world events through the use of force. 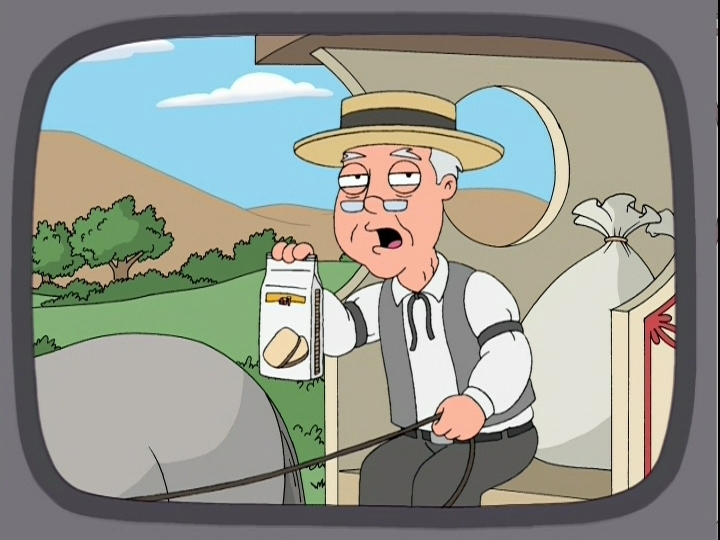 Remember when the last president was elected under shady circumstances, turned a budget surplus into a yawning deficit, damaged our standing abroad, and failed to stop both the destruction of a major city and the collapse of the financial industry? No, you don’t? I promise I’m not talking about Scandal. Partisanship has also risen sharply in the past two decades, hampering the ability of our public institutions to address critical domestic issues. While the disputed 2000 election was certainly the most notable example, partisanship rose sharply during the Clinton years and has remained at elevated levels. A 2012 Pew study found that partisanship was at a 25-year high, with much of the movement in ideological extremes occurring in the past decade. Since the election of President Obama, Washington has become hopelessly gridlocked because the incentives for bipartisanship and compromise under the current political configuration have been shattered. The failure of our government to engage in even fundamental stewardship (for instance, ensuring the repayment of public debt and keeping government open) has soured Millennials on both political parties. 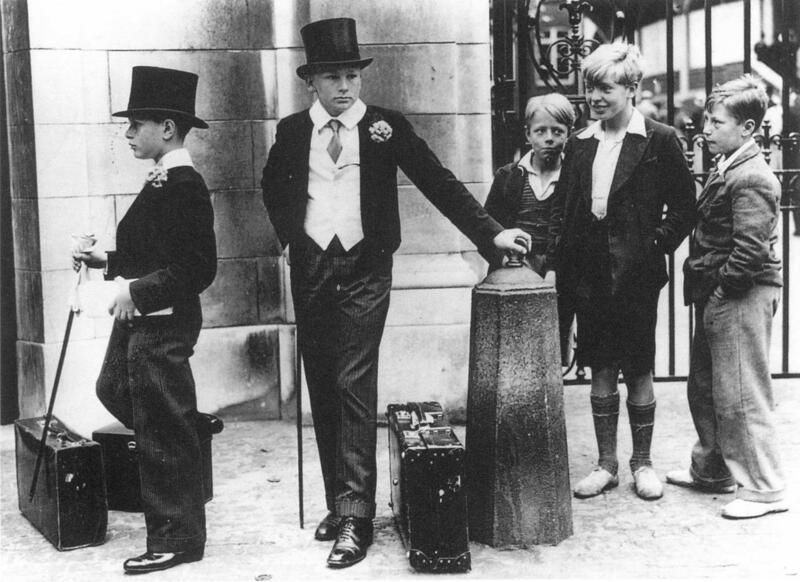 I was going to write something witty about income inequality, but I just really like this picture. Look at their adorable little suits! The broad and deep sense of institutional failure engendered by the experience of the past two decades – as well as the indictment of both public and private institutions in that failure – will do much to bring about the paradigm shift necessary for a new arc to flourish. The dichotomy of that failure – governmental overreach and paralysis, coupled with a strong need for reforms of private business practices and economic stimulus – provides an opportunity for libertarian and progressive policy agendas to seek consensus. Author Luiz Suarez-Villa defines technocapitalism as the emerging era where intangible goods – the products of knowledge and creativity – supplant tangible goods (natural resources, products, capital) as the primary engine of economic growth and national well-being. This era, he argues, will “replace the reproduction of capital as the most important social and economic function with the reproduction of inventive creativity. This is a new form of market capitalism, one that is largely driven by the invention and development of new technologies.” Technocapitalism – as seen in the growth of Internet giants like Amazon and Facebook, mobile technology, cloud computing and other innovations over the past decade – will require the rethinking of many elements of the social order. Education is one such element. On the whole, our current education system – built around twentieth century economic expectations – does not do a good job of promoting creative and original thinking or filling the jobs demanded by the new economy. The skills gap between the jobs available and workers seeking to fill them is growing, exacerbated by poor schooling, an opportunity deficit for poorer students, and underinvestment in early childhood education. Standardized public education (and standardized testing) will not offer the solution to the problems we face or promote the innovation we need. Furthermore, the cost of higher education – once a privilege, but now a necessity for economic success – has skyrocketed in the past few decades, saddling young adults with heavy levels of student debt and dragging down their purchasing power as consumers. Without serious education reform – that both diversifies and democratizes the education available and reduces its costs – America will continue to become less competitive in a technocapitalist world. Another change wrought by technocapitalism that will provide both opportunities and challenges is the increasing usage of digital technologies to live our lives, receive information and participate in economic and political processes. The commercialization of the Internet has fundamentally changed a number of relationships – citizen to government, parent to child, peer to peer, business to consumer – in ways we are still beginning to understand. Privacy concerns, too, play an increasing role in our perception of the proper scope of government, as evidenced by the controversy over Edward Snowden’s exposure of NSA surveillance programs and the complicity of major technology companies. Finally, technocapitalism has (and will continue) to accelerate the process of creative destruction, endemic to capitalism and necessary for economic growth. The danger for society, however, is that the process of creative destruction will fail to provide new opportunities for the unemployed, as the constant churn of technocapitalism renders previously acquired skills obsolete. A new study from the Brookings Institution finds that the US economy has become less entrepreneurial over the past three decades, and that from 2009-2011, fewer businesses opened than shut down. While the financial crisis and recession undoubtedly contributed to sluggish entrepreneurship, anemic levels of firm creation hurt the economic recovery in the long run. 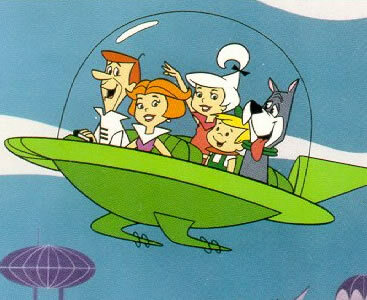 The Jetsons: a dystopian future where the One Percent live high above a ruined planet, and all jobs are performed by anthropomorphic robots. Technocapitalism will require coordinated actions by governments and private enterprise to shield the economy from the worst of capital’s excesses (a progressive goal), while at the same time encouraging agile, innovative institutions that offer an array of choices to American students and workers seeking to profit in the new economy (a libertarian goal). It remains to be seen exactly how these goals will be met, but both are crucial to preserving America’s competitive edge.